Pope Francis established a study group to consider allowing women deacons in the Catholic Church. Lynne Mapes-Riordan has long been active at St. Nicholas Catholic Church in the Chicago suburb of Evanston. She never thought about becoming an ordained deacon, however, until her church began praying to the Virgin Mary to help guide one the men in her parish who was training to become a deacon. Then Mapes-Riordan had an epiphany. "I read that prayer because part of it was to help people understand what deacons do. And it occurred to me that Mary herself could not be a deacon," Mapes-Riordan said. That's because the Catholic diaconate, as it's known, is currently open only to men. That might change. Pope Francis recently appointed a 12-member commission to study whether women can become deacons. Deacons can perform many of the same duties as priests, including baptizing, marrying and preaching at Mass. They may not, however, officiate as Mass, something open only to priests --considered heirs to the original apostles. "It started creeping into my own heart that all these things we were praying for the deacons were similar to the prayers I ask for myself --to have me hear the word and when I have an opportunity to proclaim the word, to proclaim it faithfully and to give myself to the service of the people of God," Mapes-Riordan said on GLT's "Sound Ideas." While many women have expressed an interest in becoming deacons, Mapes-Riordan is believed to be the first woman in centuries whose name has been put forth formally. Back in 2011, representatives of St. Nicholas prepared a "white paper" exploring the historical and Scriptural basis for women deacons. They presented it to Cardinal Francis George of Chicago. At the same time, the parish recommended Mapes-Riordan as a diaconate candidate. "To be in the diaconate, you have to be called by your community, and I felt really called by my community," Mapes-Riordan said. The cardinal "was very welcoming," Mapes Riordan recalled, but said it was beyond his power to decide such a significant theological question. 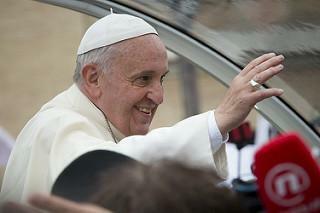 He promised to present the parish's white paper and her name to then-Pope Benedict XVI. It is not clear to Mapes-Riordan what happened after that meeting. George was diagnosed with cancer and died in 2014. Pope Benedict stepped down voluntarily as pontiff in 2013. Pope Francis' interest in resolving the question has given Mapes-Riordan renewed hope. Married and the mother of two, Mapes-Riordan has held many volunteer roles at her parish, including serving as a lector at Mass and on the liturgy committee that helps plan Sunday Masses. She is completing a master's degree in liturgy at Catholic Theological Union in Chicago. In the early church, women ministered to children and other women, and oversaw acts of charity. The Acts of the Apostles and St. Paul's letters refer to early women leaders. One deacon is mentioned by name in a Letter of Paul to the Romans -- Phoebe of the church at Cenchreae. "We were a 'house church' in the beginning, and women ran the households. So it's not surprising women would have had significant roles," in the early church, Mapes-Riordan said. By the Middle Ages, the role of deacons faded, as the power of priests and bishops grew. In the 1960s, the Second Vatican Council restored the diaconate, for men only. It failed to address the question of whether women could one day also serve. "Our theology now [is] about recognizing the gifts of all the baptized, trying to call forth the gifts of those who feel called to this service in the church. We would see that in women also and want to recognize and affirm it and have it be part of our church life," Mapes-Riordan said. She noted that in many dioceses, including Chicago, the wives of current deacon candidates receive the same training as their husbands, even though only the men are ordained at the end of their studies. That group of wives, she added, could provide a ready-made team of deacons in the future. She predicted women will respond in large numbers if the diaconate is opened to them, and would bring a different perspective to the role. 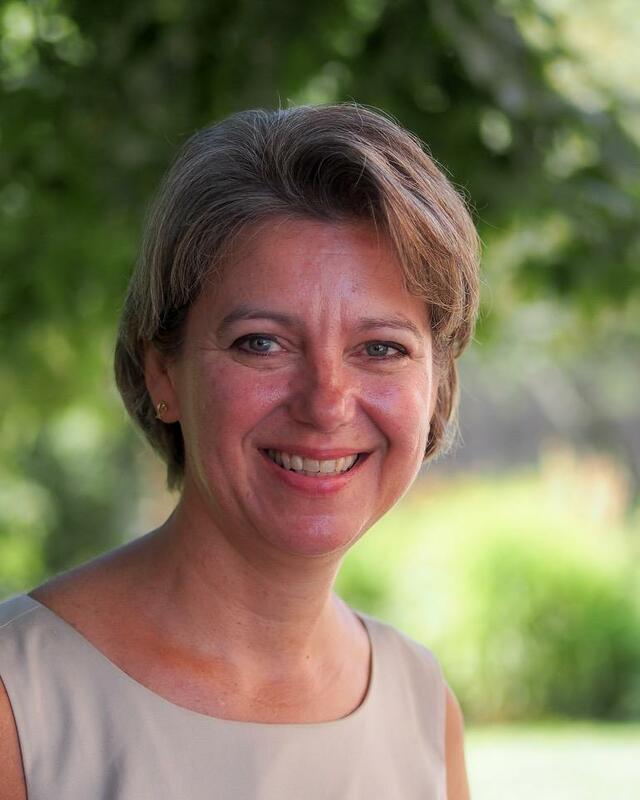 Chicago employment attorney Lynne Mapes-Riordan hopes to one day take the training to become a deacon in the Catholic Church. "There are definitely moments in our lives when the women sort of see something and the guys don't see it, so why would we want to overlook that gift?" said Mapes-Riordan, who specializes in employment law. Like many scholars who support restoring women to the diaconate, Mapes-Riordan says she doesn't think allowing women deacons will result in women becoming priests. "That's not an open question in our church right now, and it doesn't need to be in order to answer this question" about women deacons, she said. The diaconate is also a stepping stone for celibate men to become priests. However, single, married,or widowed men can be ordained to what is called the "permanent diaconate." It means they will remain solely deacons. Women too would be part of the permanent diaconate, if the Pope decides to allow them to serve. There are currently about 15,000 deacons in the U.S. and about 38,000 priests. Welcome to the Nuns on the Bus tour, 2016. The socially-conscious nuns who gained national attention during the last presidential election, rolled through Bloomington-Normal this week as part of a 13 state tour that will include stops at both the Republican and Democratic National Conventions. The Nuns on the Bus who are touring the country rolled into the Republican Convention this week, hoping to talk with attendees and delegates about the nation's social issues. Sister Mary Ellen Lacy said the sisters generally received a warm reception from those they encountered. The sisters walked around the convention grounds with a lemonade wagon and invited attendees to talk with them about the issues they believe are important to the nation. 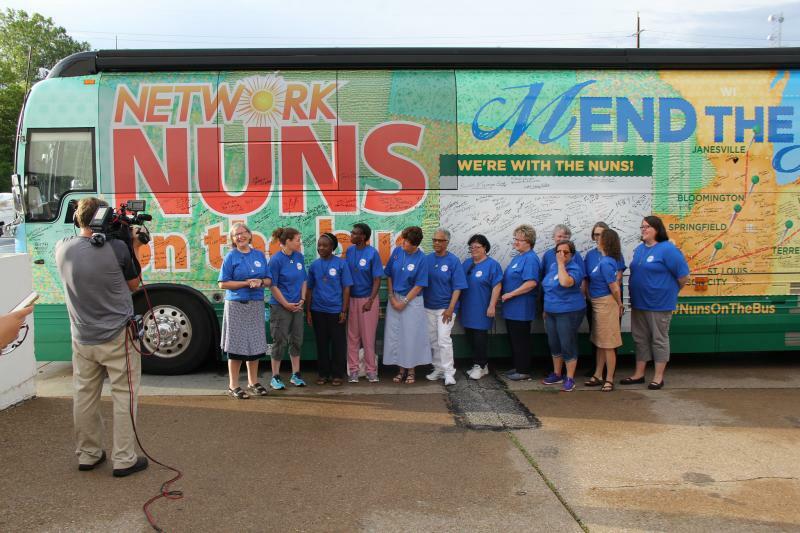 After spending time at the Republican Convention last week, the group of Catholic sisters known as the "Nuns on the Bus" are now in Philadelphia for the Democratic Convention to press for their "Mend the Gaps" social justice agenda. Presidential candidates Hillary Clinton and Donald J. Trump have been in the national spotlight for decades. But Americans are still getting to know their vice presidential running mates, Gov. Tim Kaine, Democrat of Virginia, and Gov. 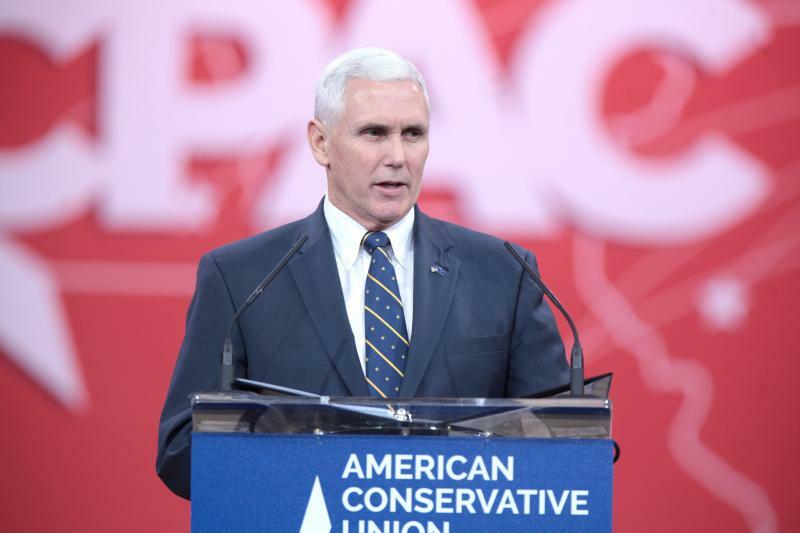 Mike Pence, Republican of Indiana. Someone who's known Pence a long time is a Catholic Benedictine Sister from Our Lady of Grace Monastery in Beech Grove, IN. Sister Sharon Bierman taught Pence in seventh and eight grades at St. Columba Catholic School in Columbus, IN.